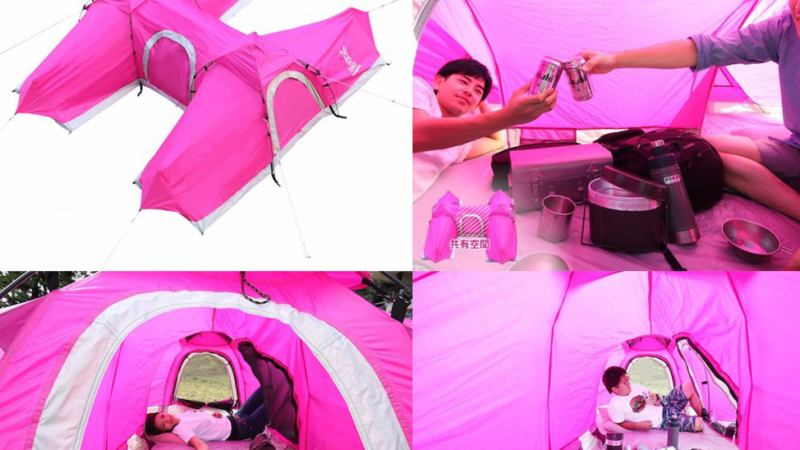 The Doppelganger H Friend Zone Tent is cool because it is not like other tents. 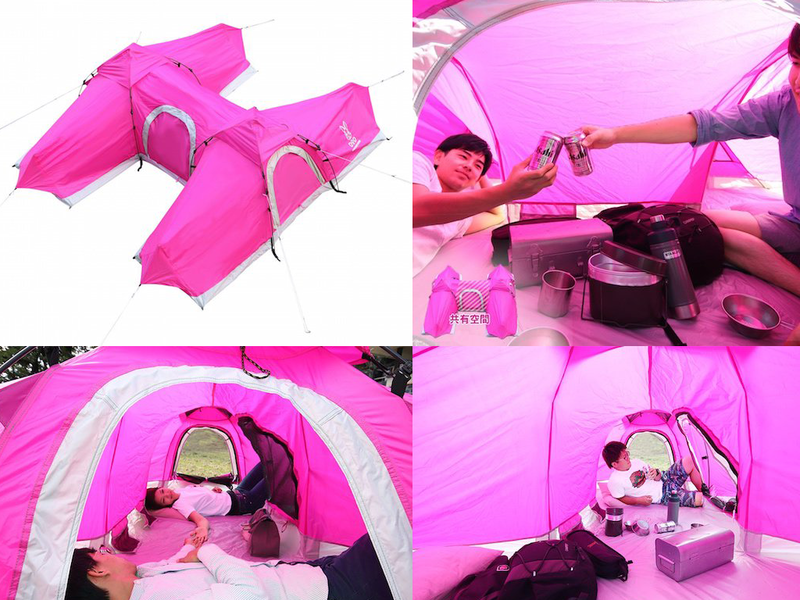 You can use it to share a tent with someone without having to share your bed or your personal space. It is great because it can be used by friends or family who want to be close but not to close. This tent is designed in a unique H shape which is what makes it capable of accommodating two people within their own space. The centre of the H is useful because it is a shared zone where items can be stored. It can also be used as a shared living space. If you have small children there is probably enough space in the H part of the tent for a child to sleep in. This tent provides enough space for two single sleepers that do not want to be close together. It can also accommodate two couples that want to be very close together. The choice is yours. 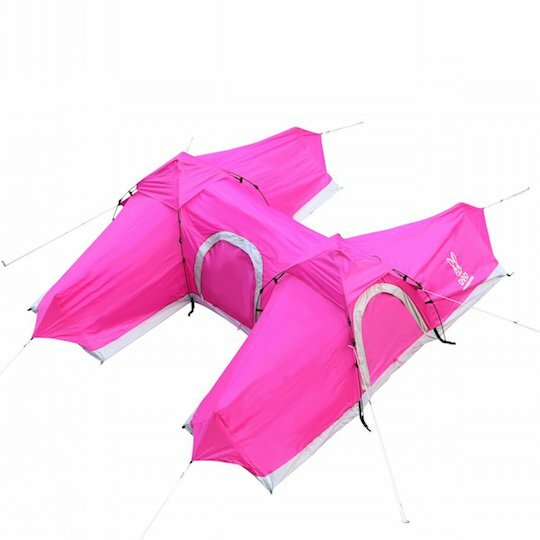 This tent is bright pink in color and it is easy to erect. When stored it measures 7.9 inches by 7.9 inches by 25.6 inches. The size of the tent when erect is 8.5 ft by 7.9 ft by 2.8 ft. This is a lightweight tent that is easy to transport and carry to your destination. If you like this fun tent then you may also like to check out the following.